Nearly a million women are widowed each year in the United States. Hardly anyone is prepared for the days, months, and years that follow the loss. New widows grieve, but they also battle psychological, spiritual, and social upheaval from all directions. From discovering a new identity to finding different ways to relate to old friends, life becomes unfamiliar. Practical changes--both legal and financial--are inevitable. Just as there's no simple prescription that makes grief disappear, there is no clear way to address all the challenges widows face. 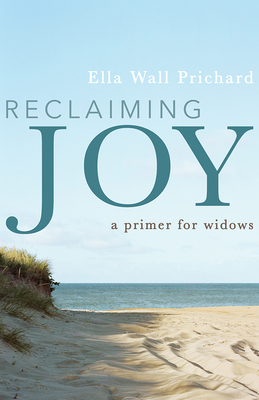 In Reclaiming Joy: A Primer for Widows, Ella Wall Prichard writes the book she needed, but could not find, after her husband died. She recounts her turn to the Apostle Paul's letter to the Philippians, a letter that features joy as a source of comfort and hope--and that shapes Reclaiming Joy. Prichard offers practical advice on how to achieve joy. Each chapter focuses on a different trait needed to move from grief to joy. The primary narrative arc is spiritual, even though stories of struggle, conflict, and loss are recurrent themes. Reclaiming Joy is part memoir, part guide, part inspiration. It captures the pain felt in the first years of widowhood in the move from grief to joy. It offers encouragement and advice to women who seek the strength to rebuild their lives and reclaim their joy. Ella Wall Prichard is the president of Prichard Oil Company and is highly involved in her community and church. A mother and grandmother, she is a frequent speaker on the subject of widowhood and has encouraged and supported widows around the country. Ella blogs at www.ellawallprichard.com, where other resources on widowhood can be found.